This nature at its best. From natures paint pallet onto your dining table/ kitchen counter. The almost 3 D like center is fascinating in its shape and colors. 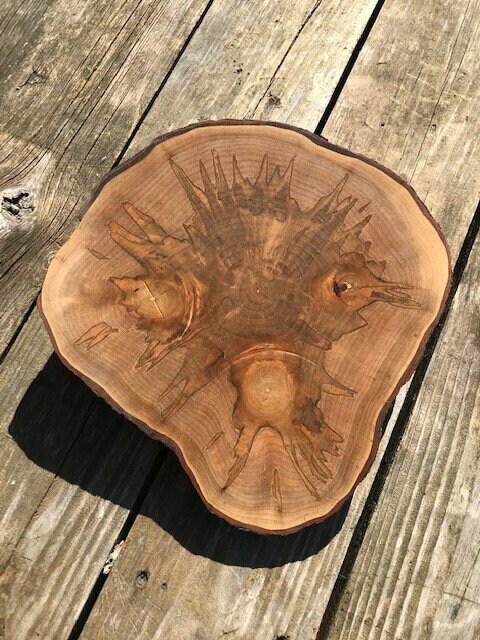 Live edge tree slice from a spalted maple tree that has been air dried for several years and carefully cut into 3/4" ( 18 mm) thick slices. 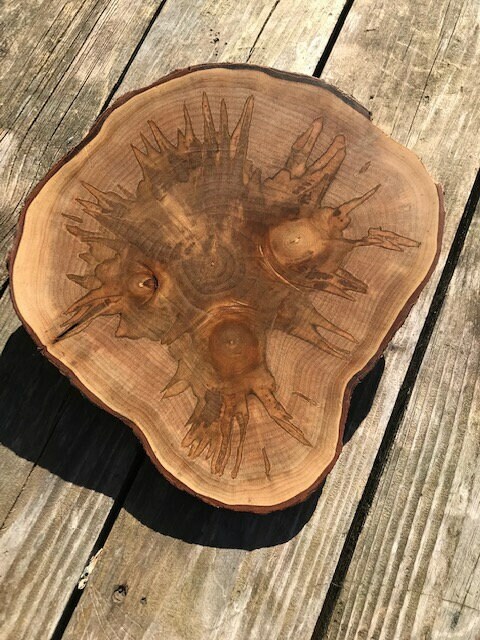 The slice is approximately 11.5 " wide and 11.5" high. The slab has been meticulously sanded up to a 4000 grit and feels like glass, then treated with a natural oil for water repellancy. The look can be easily maintained by rubbing the slice with olive or natural lemon oil. It is very unique art, and certain to start a conversation, especially with "ET" fanatics. Other boards and different sizes available. Please inquire. Hand wash only, this can not be used in the dishwasher or washed with extremely hot water or it will warp or split.